Set in the towns and backwoods of Louisiana, Dave Robicheaux discovers he may have committed the homicide he’s investigating, and works to clear his name and make sense of the murder. The ending is a bit jumbled with who did what to whom with an ever-increasing body count, and even Robicheaux himself is in a bit of a quandary about the entire adventure. In the scheme of things, it doesn’t matter. The poetic writing and depth of the major characters balances out everything. Reading one of Burke’s novels is truly an immersive experience, with every ache and anguish feeling gut-wrenchingly real. It has been almost five years since the last Dave Robicheaux novel, and it was absolutely worth the wait. 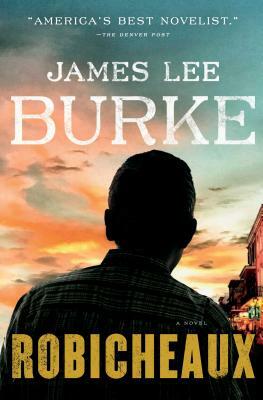 Burke’s latest effort is an emotional ride, especially for longtime fans of his bestselling series. With the action dialed down, Robicheaux works thanks to the powerful impact created by the internal conflict waging war inside of Burke’s beloved characters. In many ways, they’re the same people fans have come to know over the course of twenty previous novels … [Robicheaux] is written in a way that allows readers to feel the pain Robicheaux is battling–creating a raw, gripping experience that’ll stay with you long after the story ends. What did you think of Robicheaux?